A Neighbourhood Plan enables individual communities to produce their own planning policies to shape future development according to local needs. The CR3 Forum is the body set up by the four Parish Councils to produce our Neighbourhood Plan. Many local volunteers have worked extensively on it collecting evidence, gathering public opinion, technical advice and drafting the document we are now consulting you about. The Neighbourhood Plan is community generated and locally led and it is important because it is the document against which future planning decisions for our area will be measured. The policies in the plan will be used by Tandridge District Council when making planning decisions. It is vital that the views and opinions of the people who work and live in the area – and who know it best – are represented when it comes to planning and development and this Neighbourhood Plan is our vehicle for making that happen. 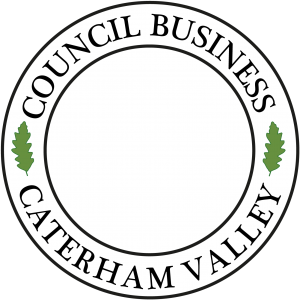 A hardcopy of the plan can be viewed at Caterham Valley and Caterham on the Hill libraries. Also in Church Walk Shopping Centre on Saturdays, from 10am on Saturday 13th May and 3rd, 10th and 17th June. In addition, it can be viewed online. It’s a sizeable document so we’ve broken it down sections to make it easier to download.